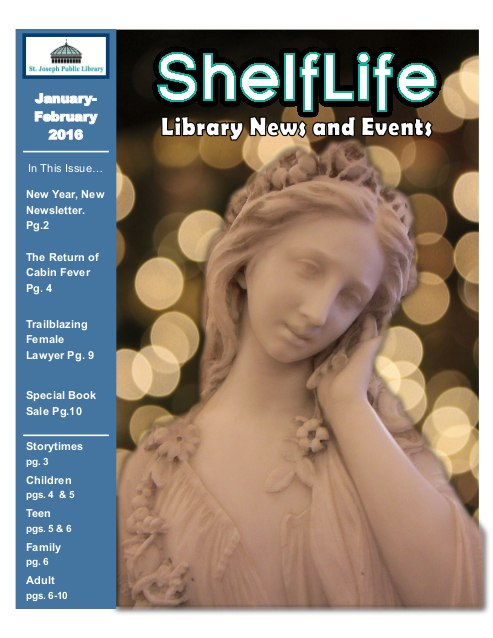 Read our “ShelfLife” newsletter. We also have a newsletter archive available for you to enjoy. These are .pdf files so you will need Adobe Reader downloaded on your computer in order to open and read the newsletter. Interested in receiving the newsletter automatically? Or are you interested in other newsletters available from the library? Click Newsletters to see what can be sent directly to your email account!